In September, the band released their fourth studio album, "American Dream." 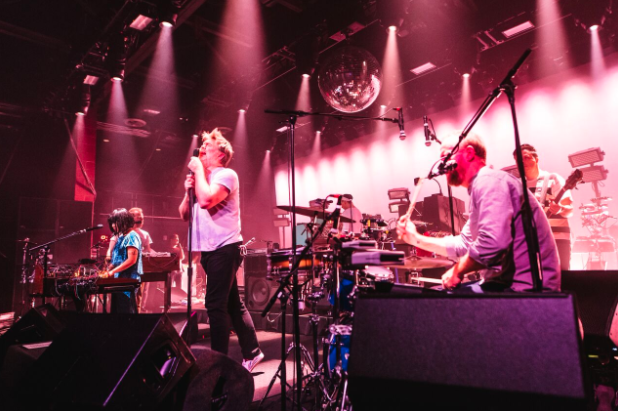 For the first date of its three-night stint at The Fillmore last night, LCD Soundsystem proved that time away from each other (four years) and Philadelphia (seven years) made their collective heart grow fonder and funkier. Audiences can see and hear as much when LCD plays tonight and tomorrow night in town. Born in 2002 of James Murphy’s need to micro-manage the reimagined music of his youth (Talking Heads, Psychedelic Furs, Liquid Liquid), LCD Soundsystem was robotically soulful, but with a sense of manicured scruff behind every lick and snark in every lyric. 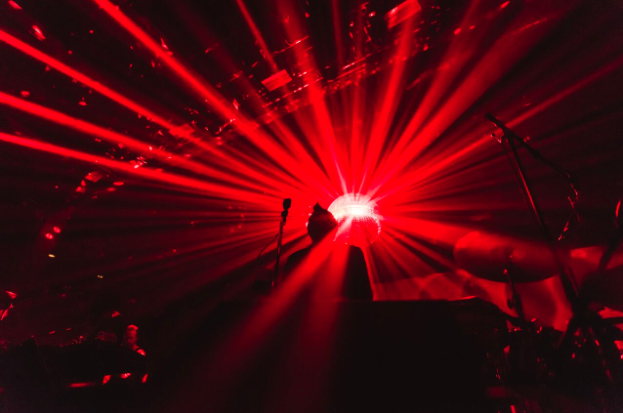 Though their performances of that initial period (2002-2011) could be religious experiences, there was something hermetically sealed and sweat-less about their live show. Luckily, nobody believed Murphy when he said LCD would be permanently retired after 2011. Their return vehicle, 2017’s “American Dream,” and its live shows, may prove that their music has grown more dynamic and galvanic. As a lyricist, Murphy bared his feelings of love and loss with a maturity not previously witnessed. 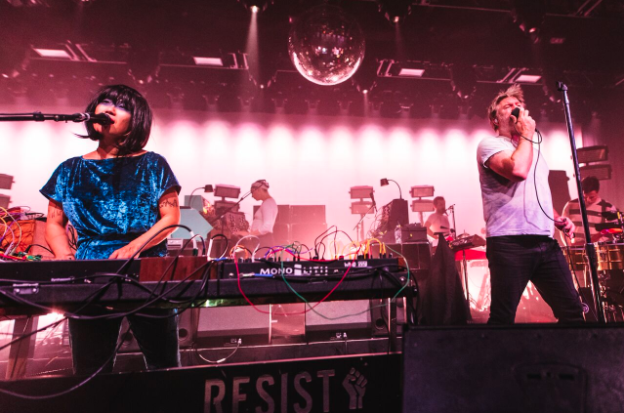 As they began this current tour, LCD Soundsystem had found the perfect blend of muscle and fussiness. With Murphy’s vision of art-disco as its vehicle, the eight-person unit drove wildly through a LCD history last night, starting with the halting “Yr City's a Sucker,” a tune highlighted by its singer’s scratchy falsetto. The trance-like, angst-driven, “Change Yr Mind,” found Murphy musing on aging (he’s 47), with the phrase “I’ve got nothing left to say,” in a manner that made LCD’s return seem tentative, but genuinely touching. Nancy Whang, on vocals and keyboard and James Murphy on vocals. He also plays guitar, bass, drums, percussion and drum machine. Murphy didn’t talk much between songs, but what he did say was fairly Philly focused. After thanking old friend-DJ Dave Pianka for a sizzling, electro driven opening set (Pianka was partially responsible for bringing LCD to Philly’s Navy Base), the frontman spoke about living in the area in 1987. Along with calling that time in his life “sketchy,” Murphy fondly remembered living around 4th and Fitzwater streets and eating sweets at the now-defunct Pink Rose Pastry shop. As shown by closing with “All My Friends,” and many of his lyrical musings throughout the night, Murphy kept the chatter in his head to a minimum, but made every word count.